The “steady as she goes” reports on the wool market activity over recent weeks were thrown out the door at this week’s 2 day wool sale, with the market lifting significantly led by the Merino and including Cardings sections. The Eastern Market Indicator for the week lifted 28 cents to close at 1,550 cents in A$ terms, while in US$ terms it rose 23 cents to 1,214. The market in the west also had a strong positive lift, improving 38 cents to close at 1570 cents. 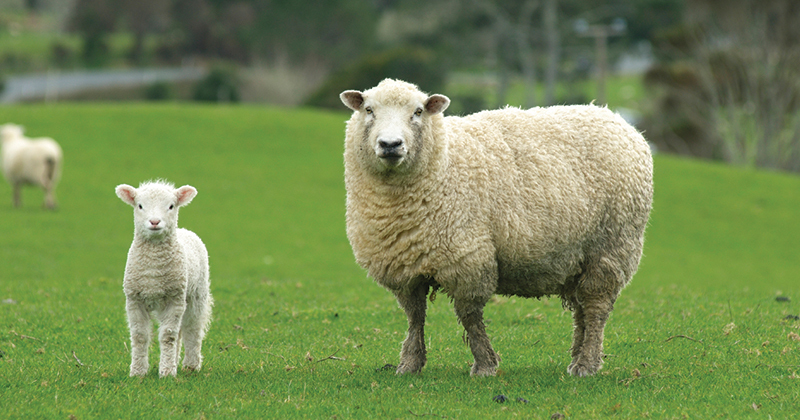 Crossbred wool bucked the trend with a disappointing week where falls of 10 to 20 cents were evident. For the calendar year, the EMI has averaged in A$ 1506 cents, and in US$ 1153, so the current market good be referenced as a “Spring rally”. As has been regularly reported by AWEX, wool with good specifications is attracting strong competition, and at times significant premiums, however when the market surges like it has this week the lesser quality wool also benefits. This was the case this week. The general MPG indicators in the Merino types all showed improvements of 20 – 60 cents, with only the limited superfine offering in Melbourne the exception. This reinforces the case for active marketing of all types, but especially those types that exhibit faults or have lesser additional measurements. In this environment of tight supply, the risk of holding lines of wool that don’t meet the broker price expectation (passing-in lots) are not as great as usual; that is, reserving some of the lots offered for auction is an even sounder strategy than normal with the current market situation. Last week Mecardo reported that the usual season pattern for the wool market in the Spring is negative, and the current move contrary to the norm. Does this reflect a new order for the wool market caused by tight supply, or is the market likely to revert and mirror previous seasons? Whatever the future, one other point needs to be made regarding these sudden market moves. The best time to get the forward prices is always on an auction rally. This is most effectively achieved by having the wool broker place Good Till Cancelled (GTC) orders in the forward market for a portion of the future clip. A total of 38,217 bales were cleared to the trade this week, with the pass-in rate of 3.6% was well below the season average of 7.6%. A total of 9,716 bales are listed for sale next week across the three selling centres over 2 days. This is consistent for the next three weeks roster with around 40,000 predicted each week to be offered. The surge in the market is enticing, and again shows the resilience of the wool market at this time. Again, barring and currency appreciation next week will again be a good week to be offering wool.